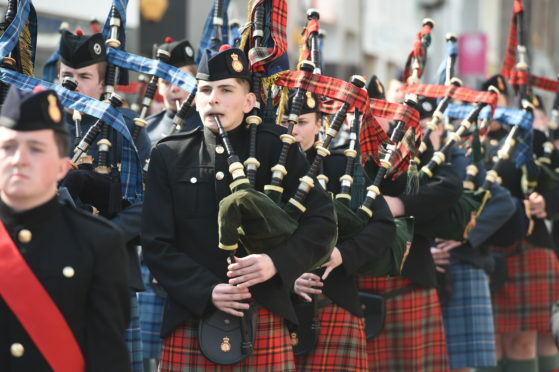 This year, 67 pipers and drummers drawn from army and air force cadets across the UK gave a spectacular display as they paraded from the Army Cadet Centre in Ferry Road along Dingwall High Street to the Town Hall. This afternoon, the cadets are performing at Ironworks in Inverness between noon and 2pm. The young musicians have spent the past week in a ‘piping concentration’, intensive instruction at the Cameron Barracks in Inverness, under the tutelage of Major Ross Munro, national cadet piping and drumming executive officer. He said: “This piping concentration has going from strength to since it began more than twenty years ago. “In those days, there were around 30 taking part at the Cameron Barracks, including adults and volunteers, whereas now there are more than a hundred. 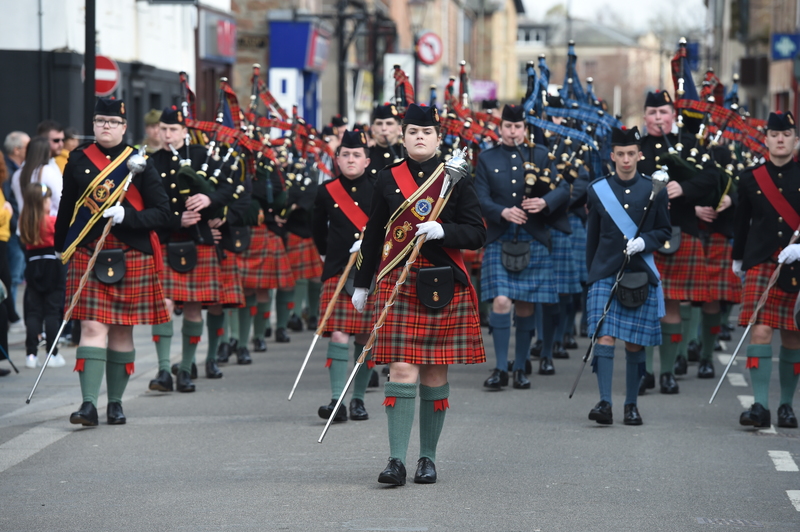 “The Dingwall parade started in 2006 and has also gone from strength to strength. 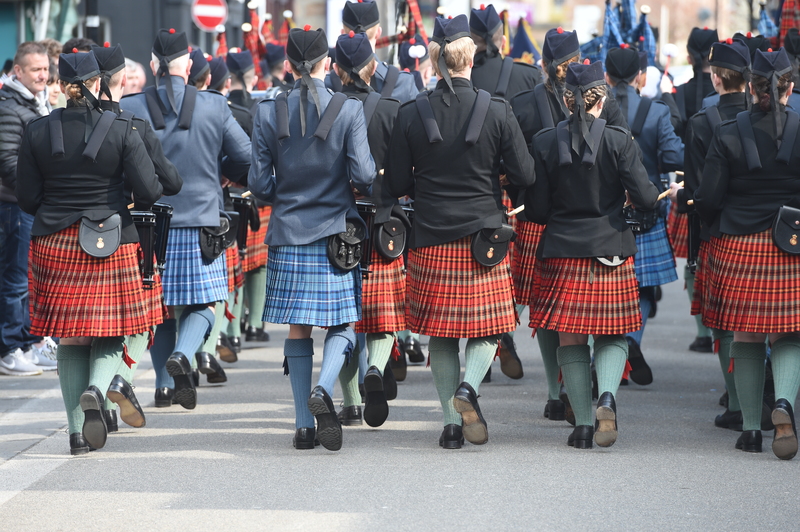 “This year the cadets are from as far afield as Kent, and the islands, Orkney and South Uist. At the Town Hall, the cadets gave two static and two moving performances before heading to the National Hotel for a reception by Highland Council’s local team. Mr Nunro said: “The youngsters gave a fantastic display showing outstanding professionalism. Local councillor Margaret Paterson said she is always amazed by the youngsters’ talent. She said: “They come from all over the country and only have a short time to train. “It’s amazing how much they can achieve, they are really gifted. Mrs Paterson welcomed the cadets at the National Hotel, after which Lord Lieutenant Janet Bowen gave an address, followed by a vote of thanks by Col. Malcolm Macbean. Reverend Ivan Corry-Warwick said grace before the company tucked into a late lunch.